Welcome to Marchese & Associates, Inc.
As leading executive search correspondents for over fifteen years, Marchese & Associates has strategically located their offices and expert staff to connect you with the nation's top candidates anywhere in the U.S.
By working with Marchese & Associates, you are securing an experienced team of professional search correspondents that is dedicated to serving you. Our goal is to identify and engage high performance people and delicately persuade them to interview for final selection and a subsequent offer. We believe that in order to build better business relationships, it is imperative to abide by high ethical standards. 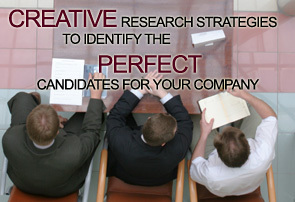 These standards include honesty, privacy and a responsibility to represent both our clients and our candidates fairly. This is the only way to ensure a firm foundation for the relationship we have with our clients and candidates. We understand how vital it is to find the right person in the shortest amount of time possible. We are dedicated to bringing you efficient service while still keeping all of your needs in the highest priority. We are committed to finding the right person efficiently to minimize your firm's downtime. At Marchese and Associates, we are dedicated to bringing you an extensive knowledge of the sector of the market that is important to you. Not only do we have the knowledge to draw from but we continuously keep up with current trends and changes in order to better serve your firms needs.